NBC affiliate KFOR in Oklahoma City is changing it's daytime lineup starting Monday, July 4. Days of our Lives will now air an hour earlier, at 1 p.m. 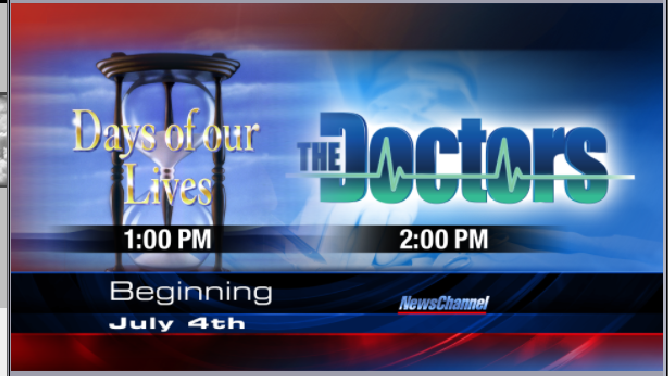 The iconic soap opera is switching time slots with talk show The Doctors, which will now air at 2 p.m.
KFOR did not reveal the reason for the switch but there is likely some local ratings logic behind the move.